Whoa, that it not a flattering opening shot. Pretty sure I'm less hungry now. Starting to regret my purchase based solely on the fact that that it had a silly name. Curse the call of the cookies! The swirls become more defined as you go down. I scooped a quick small bowl and I realize that I never should have expected Hood to go two for two. It's not bad but it's nothing like what I expected (or wanted really). To me, Hoodwich implies cookie ice cream sandwich implies heavy cookie factor. While the cookie chunks are sizable, I only got two of them and couldn't taste them at all over the base. On Second Scoop: I just realized what the base flavor reminds me of... a frosty! To some degree anyway, it's not an exact match. I still don't get the teeny tiny chocolate chips. I get that they are cute and all, but they work better when buried in balls of cookie dough that are then buried in a nice ice cream. As is, them floating around is more of an annoyance than anything. 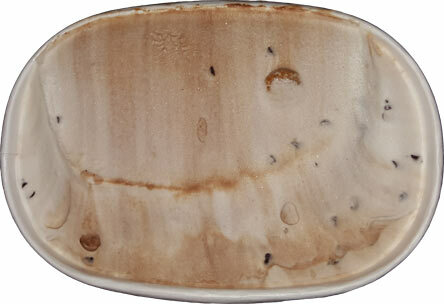 Wait, I finally got a cookie in this serving... oh, so disappointing. There's a little bit of lingering cookie flavor at the end of that particular bite, but it's minimal. And it's not even a good cookie aftertaste, it's bland. Hood is cheap "budget friendly" so you shouldn't feel too slighted after buying this one, but if you do, please go in with extremely low expectations. Final Scoop: Going to downgrade this to an absolute avoid. I tried spicing it up with a crushed chocolate chip cookie and it did nothing for it. What a waste (of a perfectly good cookie). My daughter wound up finishing this one and said it wasn't bad, but the cookie bits were pretty sad. Hood is pretty much always a disappointment. I used to like their grasshopper pie but that disappeared long ago. The only good (and I'm being generous since it's an indication of its lower quality) thing is that, it needs less defrosting time before being a good consistency to eat. @Deb I thought their chocolate was actually very good, all things considered. 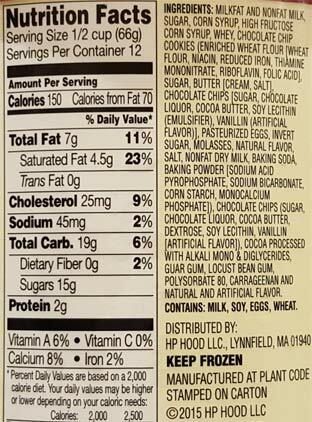 Honestly though, I avoid anything with vanilla AND chocolate mixed together, emphasis on "mixed". B&J cores are cool. 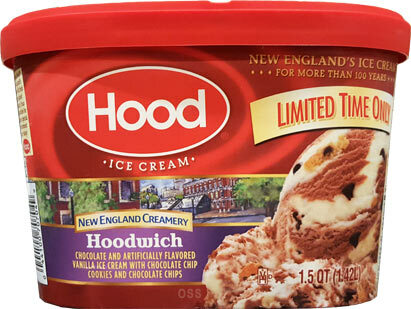 I miss Hood ice cream. I grew up in Maine, so this was the go to ice cream company for most of my life. 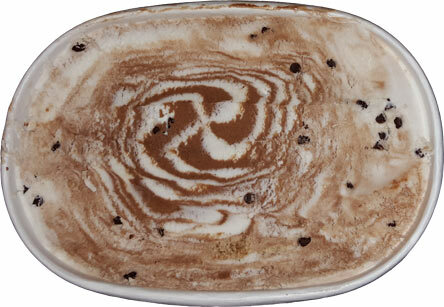 I don't bother with chocolate ice cream ever but their Mystic White Gold ice cream is one of my favorites. I'm hoping to come across the Maple French Toast when I go home for vacation. I kind of like them mixed when it's a complete mix because then it's a very mild chocolate but in general, I agree. That is why I never went for half baked. But the core with the half vanilla, half chocolate is delightful! Wouldn't the ice cream sandwich ice cream be like Oreo cookies and cream after the oreos softened into the ice cream? @Deb: I think that is the general assumption but it is so much more magical than that. The Edy's version tastes just like an ice cream sandwich, but you scooped it instead of holding it. I adore the classic taste of a good ice cream sandwich and it's just as good and arguably better in ice cream form. Just a ton of fun, I miss it greatly. This isn't related to Hood, but saw a new ice cream in the store today and thought of you Dubba. It's called High Road. You've probably already heard of it so I'll look forward to any reviews of it.